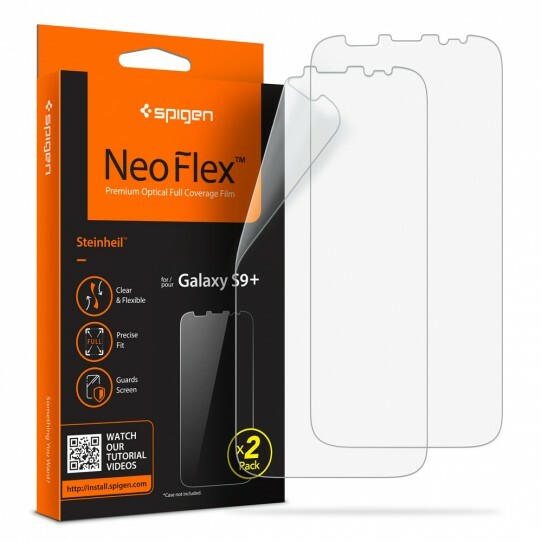 Safeguarding the brand-new curves of mobile screens can now be accomplished with Spigen’s Flex HD screen protector for the Galaxy S9. The flexible yet durable thermoplastic urethane film offers clear protection that covers the whole screen from edge to edge. Its self-healing properties make it a long-lasting option in preserving the screen’s brilliance and usability.